Cergentis and its partners have published various application notes about the TLA technology, its applications and the automation of the TLA protocol. 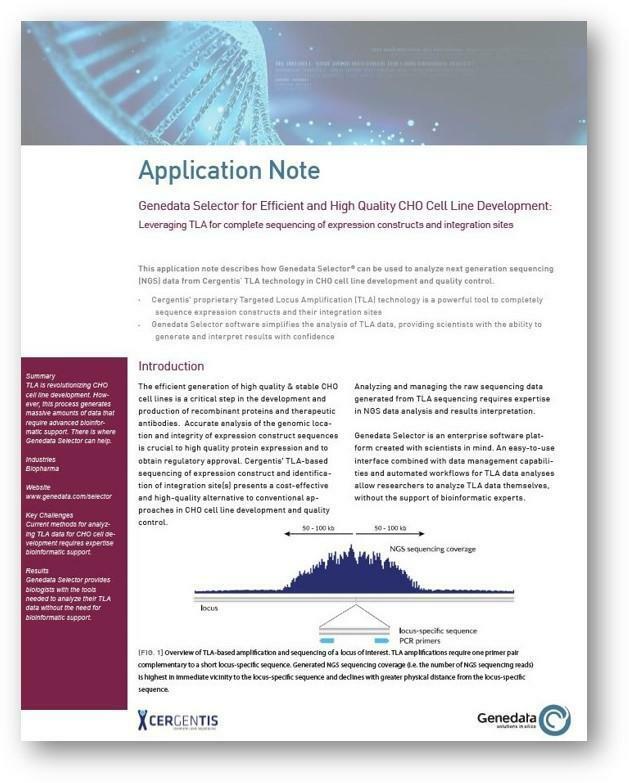 Application note on the TLA protocol for isolated genomic DNA. Application Note Pacific Biosciences - Targeted Sequencing and Chromosomal Haplotype Assembly Using Cergentis TLA Technology with PacBio SMRT Sequencing. Application note on the use of the TLA technology in transgene and integration site sequencing in CHO cell lines. Application note: Automated Targeted Locus Amplification Technology for Targeted Complete Gene Sequencing using the Janus NGS Express Workstation.